The “ATLANTIS CULTURAL ASSOCIATION” was founded on June 2nd 1999, with the purpose of carrying on the more than 50 year old tradition of the wind band. Under the aegis of the association there is a youth and child wind band and majorette group. The association counts 78 members. The supply of youth members is ensured by the qualified teachers outsourced to Uzon from the Folk Art School of Sepsiszentgyörgy. 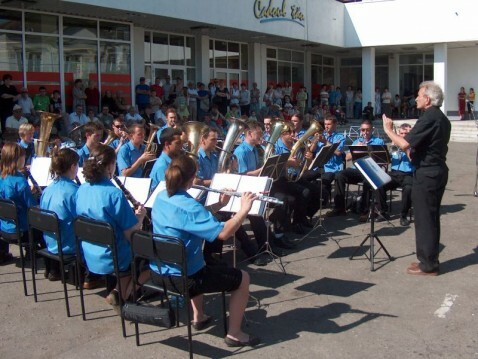 The two advanced groups are regular participants of brass meetings and festivals of Transylvania, and have participated on several events and festivals organized in Hungary. They are regular participants of the region’s intellectual and cultural activities. Their shows are varied. Their repertoire consists of traditional historic marches, classics and folksongs. At the same time one can find several genre of modern music: samba, mambo, disco, boogie-woogie and rock and roll. The president of the association and the conductor of the band is Ernő Ugron. The coach of the majorette group is Kinga B.Ugron. One of the goals of the BIKMAKK CULTURAL ASSOCIATION is to give perspective for the youths of Bikfvalva, to organize events that build community life, and shows the cultural values of their small village and the importance of preserving it. We have accomplishments in this, since we have founded a “Full House” that has a reading room in it, with nearly 3000 books, that was collected by the donations for the association. Our activity dates back several years. Our Music and Handicraft Camp has been organized eight times, the Renaissance Music Days nine times, the Fall Youth Cultural Days eight times. We have a permanent exhibition named “Live Folk Art” consisting of the traditional Easter painted eggs, traditional carnival masks, wooden spoons dressed in traditional folk costumes, traditional homespun and embroided tablecloths. The exhibitions and concerts are organized on regular basis. The “Magical Bikfalva” exhibitions is linked to the villages history, which displays the manor houses, the “Elders of Bikfalva” exhibitions is a collection of old photographs found in the village. The “Old Tombstones of Bikfalva” is an exhibition of uncarved tombstones of the 18th century found in the graveyard, which have folk verses on them. These exhibitions can be viewed in the Full House on prior appointments. We have also prepared the memorial tablets of former school teacher and scientist József Páljános, painter, translator and etcher Zsigmond Koréh Bikfalvi, and renowned letter-cutter Sámuel Falka. Our activities require a fair amount of human resources, for which we have involved the local youth. In order to finance our activities, we have, and do on regular basis, write financial grants to institutions in Romania and Hungary and have also received sponsorship. 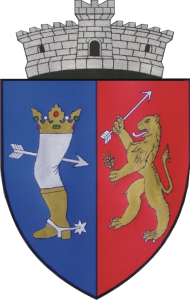 The initiators of the association known as Szi@ (Youths of Szentivánlaborfalva) were Barna Bajkó and Lehel Gábor, who joined 35 youths in Szentivanlaborfalva. Since they didn’t have an association, they realized small things, symbolizing their team spirit, by collecting membership fees. One of these items was the T-shirts with their logo and name: “Youths of Szentivánlaborfalva”. Hungarian Teacher László Márkó gave a lot of help and support in organizing themselves. For the first two years the group’s main activity was organizing the village festival. In order to make the festival more interesting, they involved new activities in the event. Having a headquarter for the association was problematic at first, but mayor Dr. István Ráduly gave the Szi@ a room that would be suitable, however it had to be renovated. The material for renovation was financed by the Mayor’s Office, but the actual internal renovation work of the building was done by the Szi@ members. In appreciation of their hard work the mayor gave a ping-pong table and equipment to the Szi@ members which proved to be a very useful way of spending their free time. The initiation resulted in the foundation of the association named Youths of Szentivánlaborfalva in December 2012. In 2012 the Szi@ participated in a “Youth in Action” EU grant entitled “The world as we can see it” that was organized by the youth association of sister village Fácánkert. The association was founded in February of 2013 by Catalin and Anamaria Lazar and the Romanian teacher from the Sandor Tatrangi School, Mihai Shraer. The goal of the association is environmental protection in the life of the village community and the support of disadvantaged groups. -the Plant Good Deeds in Romania National Initiation of Covasna County on the 13th of April, one of the largest volunteer initiatives, where we have planted 6000 pine trees in 1.5 hectares of unused agricultural land. We have also involved institutions in the project, like Covasna County Prefecture, Local Council of Elopatak, The Environmental Protection Engineer Faculty of the BB University of Saint George, The Environmental Protection and Ecology Faculty of the Lucian Blaga University of Szeben, the Covasna County Inspectorate of Education, the Inspectorate of Hunting and Forestry of Brasso, the Covasna County Directorate of Youth and Sports and other economic units: Autoliv, Bertis, Dioszegi, Tricomserv, Bustrade, Angelo Express etc. – On the 8th of June the association was the first to initiate the Forestry Map together with the Covasna County Prefecture. A couple of volunteer groups monitored two forestry paths together with the local police and the forestry authorities, keeping sustainability in mind. -we are also the initiators and coordinators of the Falco Tinnunculus Bird Association and the Kids Palace “Buds” Bird Company in Saint George. -never the less we are the initiators and partners of the “Save the Delta!” and “Write the Future!” that were financed through MOL Romania and the “Association for Partnership”. We also organized the first Ornithology Competition and the Romanian Ecology Education on which seven counties participated with the consent of the Ministry of Education for classes V.-VIII. This is a part of the Romanian Region education program (AER 2013). -we are also the initiators and partners of the “Rethink!”-“Give Up!”- “React!” in partnership with TEGA S.A., the Children’s Palace and Echo Association. In this project we collect used cooking oil collected by volunteers on bicycles. This project is continuous.